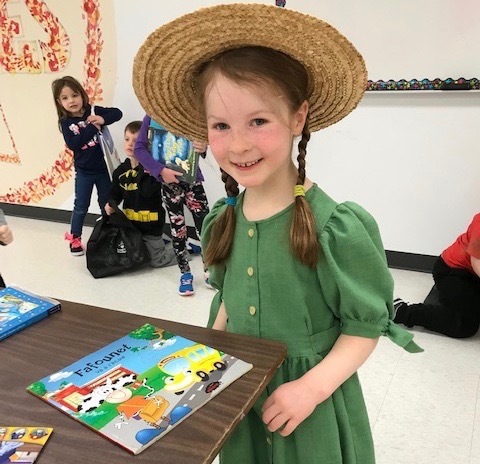 St. Francis staff and students celebrated Literacy Day and their love of books with its annual book swap organized by the school’s resource teacher, Ms. G. Visentin. Staff and students kicked off the special event arriving to school dressed as their favourite story book character. Students donated gently used books from their home and traded them in for “new” books. The school’s gathering room had a large selection of book titles on display for students to choose from in both English and French languages. The book swap provided an excellent opportunity for students to reuse, exchange books and encourage reading.